Yamaha’s WorldSBK teams signed off the 2018 season with a positive and productive test at the Jerez circuit in southern Spain today. 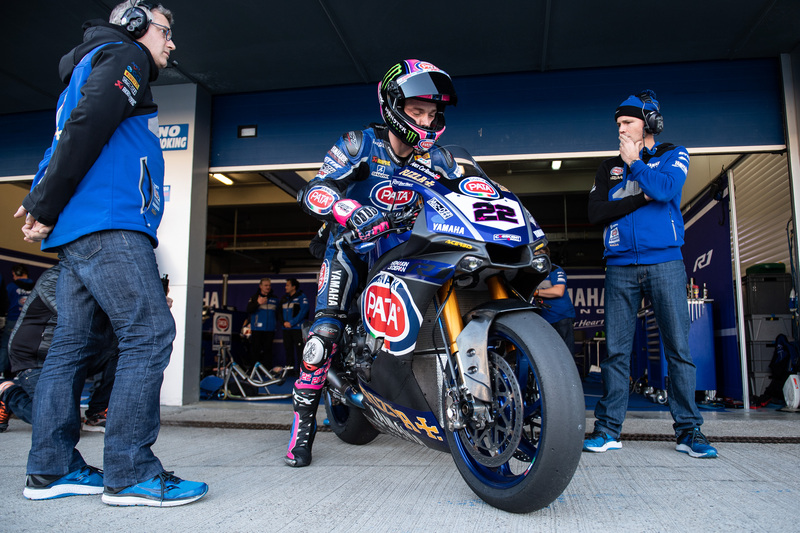 Pata Yamaha WorldSBK riders Alex Lowes and Michael van der Mark completed an intensive test schedule as part of Yamaha’s ongoing development program, while Sandro Cortese and Marco Melandri took advantage of the two days to test for the first time the YZF-R1 machines they’ll campaign in GRT Yamaha WorldSBK colours next season. The team’s technical staff quickly got to grips with running the YZF-R1 machines with which they’ll contest the 2019 Superbike World Championship, and the same was true of the two riders. Melandri was quick to build confidence and pace with the YZF-R1, a bike he hasn’t raced since 2011, while Cortese impressed with the speed with which he adapted to the WorldSBK machine, having spent the previous seasons racing middleweight 600cc bikes.